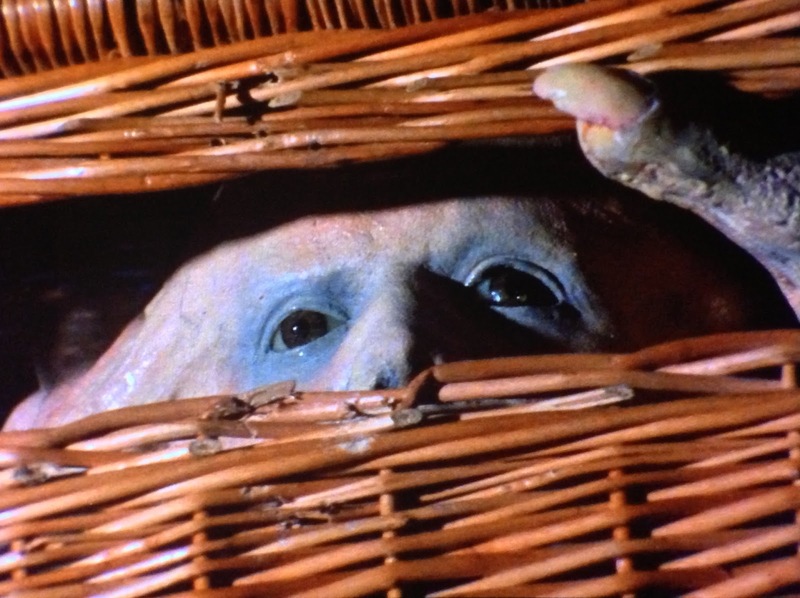 ‘BASKET CASE’ 35MM CULT MOVIE SCREENING! 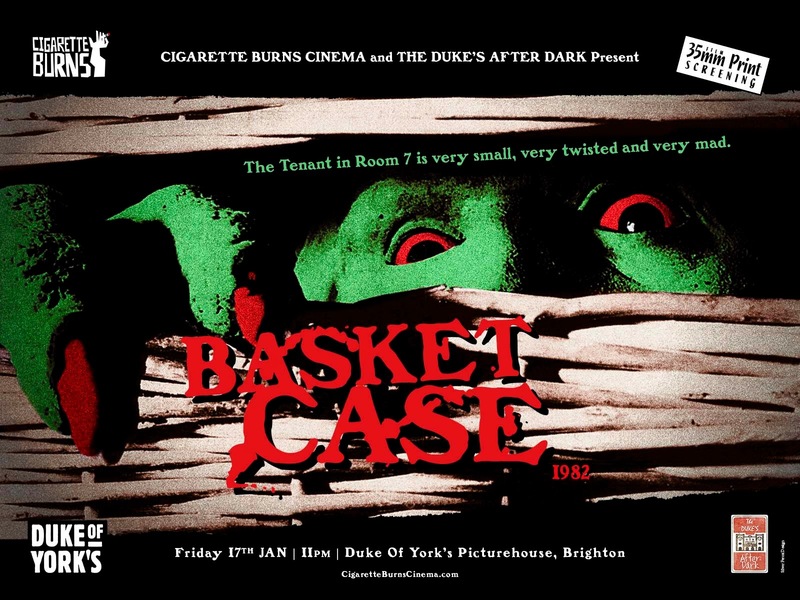 Cult Classic “BASKET CASE” Screening Friday 17th January at Brighton’s Duke of York’s Cinema! The Duke’s After Dark and Cigarette Burns Cinema have teamed up again for the best in late-night cult cinema! The boisterous original that launched a wonderfully tasteless trilogy, BASKET CASE tells the tale of apparently amiable country bumpkin Duane Bradley (Van Hentenryck), who arrives at a seedy Manhattan hotel carrying an ominously large wicker basket into which he regularly inserts morsels of fast food. Although he’s initially bemused by the hotel’s stable of lowlifes, it’s soon clear that Duane has a murky mission of his own – namely to exact revenge on the corrupt surgeons who separated him, not very efficiently, from his malformed conjoined twin brother, who of course provides the film with its title. Unfortunately complications creep in when Duane falls for the doctors’ pulchritudinous receptionist (Smith), but ultimately this doesn’t spoil the splatter-fest which writer-director Henenlotter and his cast execute with a camp glee worthy of John Waters or Herschell Gordon Lewis. One of the true gems of the grindhouse cinemas of NYC’s 42nd Street, BASKET CASE serves up everything a late-night audience could desire. Amusingly bizarre and twisted, and brought to you in the grottiest format possible – a very rare 35mm print. Frighten Brighton Cinematheque Cult Movie Night – YOU Choose The Movie! Frighten Brighton has been asked to host a cult movie night at The Globe pub in Brighton’s historic Laines on Tuesday 19th June as part of their regular Basement Cinema slot – so we thought we’d give you a chance to vote for which film you’d like us to screen! The show kicks off at 8pm and not only can you text your drinks orders to the bar so you don’t have to leave your seat, there is free popcorn too! So, what cult classic would you like to see at Basement Cinema as part of the Frighten Brighton Cinematheque? 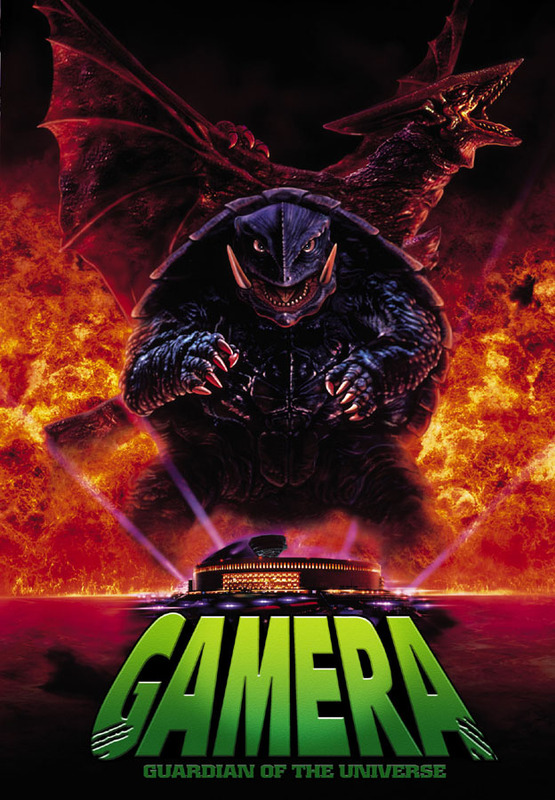 Will it be the seventies cheese of The Doll Squad, Japanese monster mayhem from Gamera: Guardian of the Universe or over two hours of non-stop horror and exploitation with Grindhouse Trailer Classics? Or maybe you prefer some zombies ( Zombies! Zombies! Zombies! 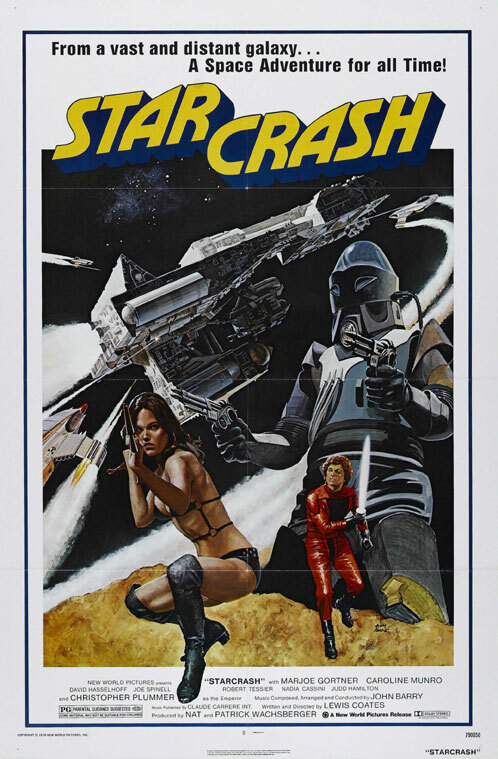 ), British vampires ( Razor Blade Smile ) or trashy sci-fi ( Starcrash )? Just vote in our poll below and Frighten Brighton Cinematheque will present YOUR choice on Tuesday 19th June! The Globe can be found at 78 Middle Street and is one of the very few traditional pubs in close proximity to the seafront clubs and there’s even a Sherlock Holmes style library downstairs! Don’t forget you can still book tickets for the FRIGHTEN BRIGHTON CLASSIC HORROR FILM FESTIVAL taking place on Saturday 19th August at The Komedia Brighton. Are You Ready For The Gore Gore Girls? Coming to Frighten Brighton on Saturday 25th February 2012 – H.G. 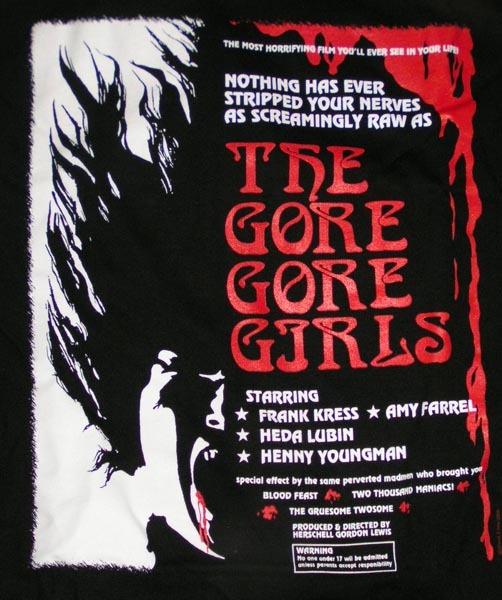 Lewis’ splatter epic The Gore Gore Girls (1972) as part of our gruesome horror double bill! If you have a wicked sense of humour and a taste for the cheesier end of the exploitation market, you’ll love The Gore Gore Girls! Tickets for the Frighten Brighton horror double bill are available from WeGotTickets for only £6 per person!